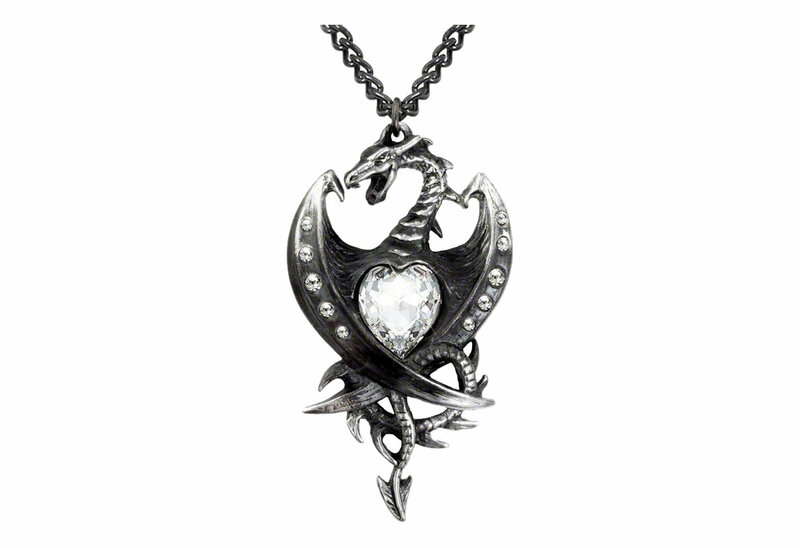 An accursed black dragon, with the heart of a diamond; a metaphor for a dangerous relationship, or else a powerful ally? Set with 11 Swarovski crystals. 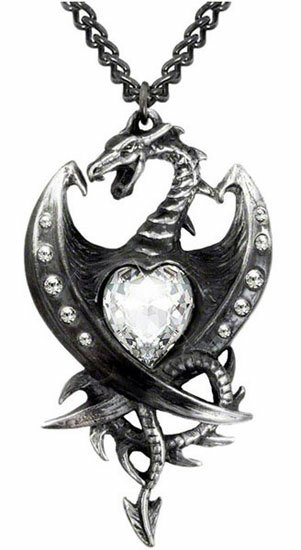 Made of fine English pewter and Swarovski crystals. Measures approximately 1.5 inches wide, 2.91 inches high and 0.43 inches deep. By Gothic Alchemy.